If you ever find yourself walking down Georgia Street by Telus Garden around dusk, do yourself a favour and head into the dark alley way. 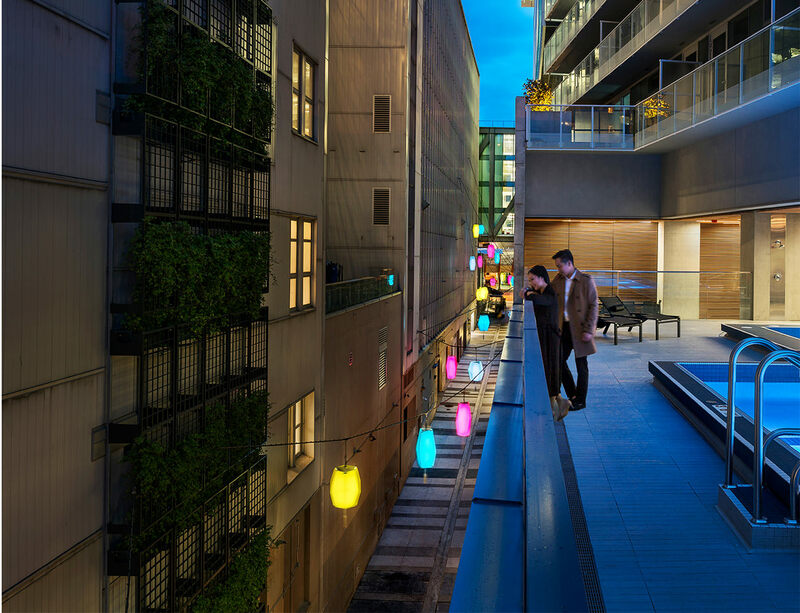 Construction of the Telus Garden commercial and residential buildings generated yet another dark, pedestrian unfriendly lane but for sculptor Martin Boyce it was the perfect location for his Beyond the Sea, Against the Sun installation. A series of suspended glowing lanterns encourage people to wander down the short lane pondering what may have existed here or is there something yet to come.